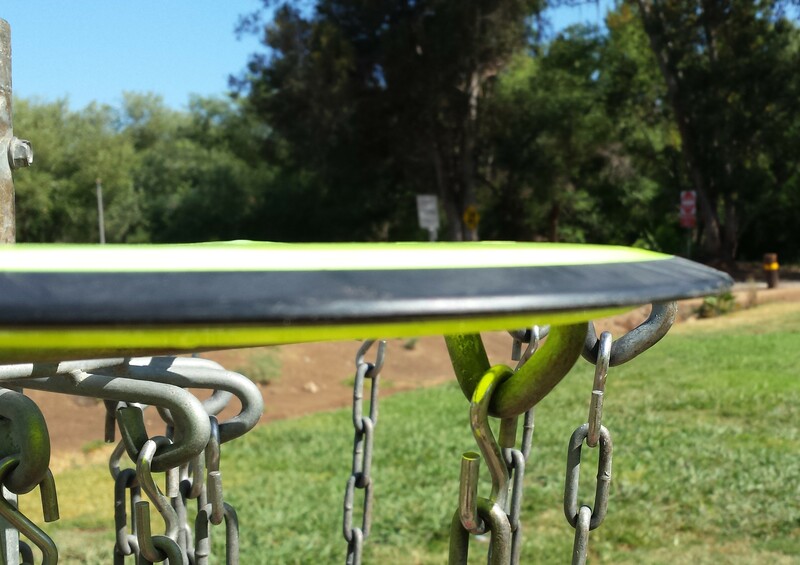 Jeff Spicoli would have made a fine disc golfer. You just know that, when the surf was flat, Sean Penn’s iconic Fast Times at Ridgemont High slacker probably rolled in late to Mr. Hand’s class with a Frisbee in hand. His casual attitude and penchant for recreational substances may not appeal to some disc golfers’ ideals, but for many he embodies the spirit of the game: He’s all about a good time, all the time. And while the film’s 1982 release would have necessitated Spicoli tossing something like the appropriately-named DGA Fader, the man who stated “All I need are some tasty waves, a cool buzz, and I’m fine,” could surely appreciate the newest offering from the MVP Disc Sports factory. The latest release in the brand’s 21.5-millimeter speed class of distance drivers, the Wave is MVP’s stable-understable complement to last month’s Photon. Sporting controllable understability, it provides plenty of punch for a noodle arm off the tee, but requires precise release angles to really shine. Indeed, MVP has provided the tasty Wave. Throw it, and find your cool buzz. Despite the Wave being a new release for MVP, it has a familiar feel in the hand. With a slightly rounded shoulder and a concaved wing, the design feels like a wider-rimmed version of the Axiom Discs Insanity. It makes sense, considering the companies are related, but was also a bit of a surprise; I would have figured the minds at MVP would try to jump up to speed 11/12 with a shape close to its popular Inertia, a speed 10 driver with a flatter top. As someone who did not always click with the Inertia but drooled over the Insanity, though, I’m quite pleased with this direction. It makes the Wave instantly comfortable in the hand, which inspires the confidence to let it rip. The MVP Wave has a familiar, rounded shape, similar to the Axiom Discs Insanity. Plus, the rounded shape gives it just the slightest hint of dome, which is generally absent in MVP molds. And the dome, in this case, helps a bit of extra glide kick in once the Wave heads down the fairway, giving it some added distance. Like premier runs of all MVP molds, the Wave is first being released in Neutron plastic, the company’s opaque premium polymer. This iteration of Neutron is on the soft, flexible side, as has been the recent trend for MVP and Axiom. Out of the package it felt great, with plenty of grip to the flight plate; it got a bit softer in 90-degree weather, but it always has the signature GYRO rim to help keep its general shape. And speaking of that GYRO rim, it seems to be a bit more omnipresent than on past MVP molds; it certainly appears thicker on the flight plate, ratio-wise, than on earlier drivers. I can’t scientifically discern what effect this has on the disc’s flight, but it was noticeable to the naked eye. Much like a new surfer trying to stand up on a board for the first time, my first couple tosses with the Wave were less than ideal. I had a little trouble dialing in the nose angle and height required to unlock its distance potential, but it wasn’t long before I was riding its gliding lines down the fairway. I am not sure I have ever thrown such a straight shot with a disc in this speed class. I’ve had the most success with the Wave by simply throwing it on a flat release and letting the disc naturally do its thing. And its natural thing is to go very, very straight, with a small fade at the end. For a long way. 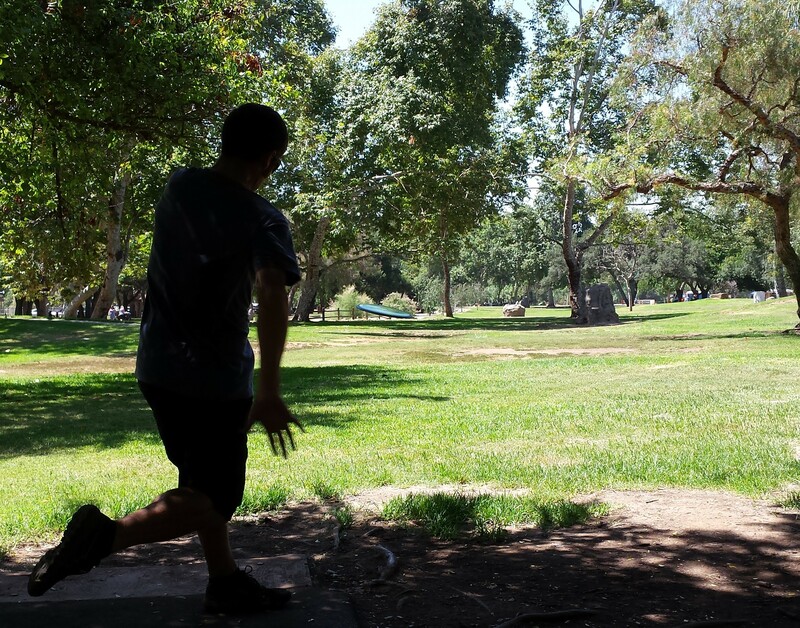 Case in point: On the first full round I used the Wave, I stepped up to Hole 14 at Kit Carson Park in Escondido and prepared to send the disc down through the double mandatory a couple hundred feet off the tee. The gap is plenty wide, so I wasn’t really worried about missing my line, but sometimes an understable disc can turn a bit early and sail wide left. Thrown on a slight hyzer, the Wave will flip up, ride flat, and fade at the end. The Wave was having none of that. In fact, I am not sure I have ever thrown such a straight shot with a disc in this speed class. I’d estimate the Wave moved no more than five feet to the left or right on its entire line, and it ended up roughly 340 feet from the tee. The Wave can handle a similar straight line when thrown on a very slight hyzer release. In this case, it will flip to flat, ride a frozen rope, then fade at the end. This is one of my favorite lines to throw, but due to the disc’s higher speed and sharper rim, more precision is required to execute it. On the times where I did not have the angle dialed in correctly, the Wave would hold the hyzer line, still covering plenty of ground. This same required precision is something I struggled with on anhyzer releases, as well. Not enough anhyzer, and the Wave would flex out early. Too much, and I got early cut rolls. I don’t attribute this to the disc, but more to my ability level and consistency with throwing high speed discs. Indeed, when I did get the anhyzer release down, the Wave held it all the way to the ground with pronounced distance. On the whole, then, the Wave is a versatile, long distance mold that a noodle arm can use to his or her advantage. Like MVP states in the company’s description of the mold, this is a disc that will be excellent to bag in multiple weights. A heavy one, like my tester, can be used for hyzer lines and flat releases. Drop down about 10 grams or so, and I imagine the flip-to-flats and turnovers will require less precision and yield more distance on average. It does need a healthy hyzer angle to battle any wind, though, so if that isn’t your game you’ll want to throw something more overstable when the weather turns. But for sunny California days like Spicoli was privy to on the regular, the Wave is a perfect ten. Catch it in stores today. The contest will run until Wednesday, July 1 at 9 p.m. PDT, when a random winner will be chosen. Good luck!